KONG Zoom Groom soft rubber bath brush for dogs of all sizes. Made in USA. 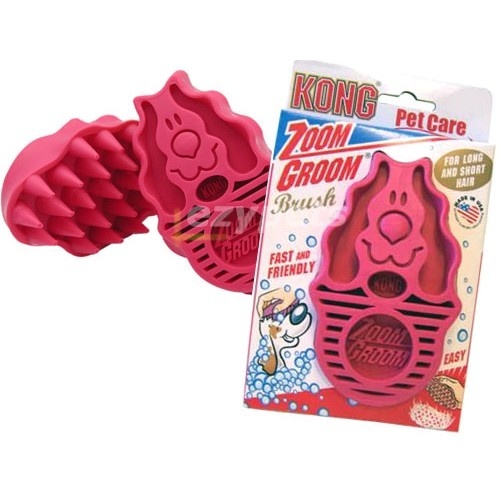 The Kong Zoom is a rubber brush that can either be used a shampooing brush to really work the shampoo into the undercoat and skin, or as a de-shedding brush to catch any loose hair (the rubber brush pins atttract hair like a magnet). 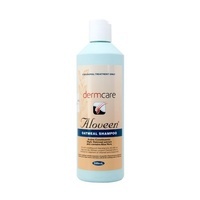 Easy to grip even when wet and it is very gentle on the coat. 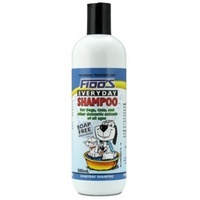 Approx 12cm by 7cm in dimensions, suitable for small to large dog breeds.